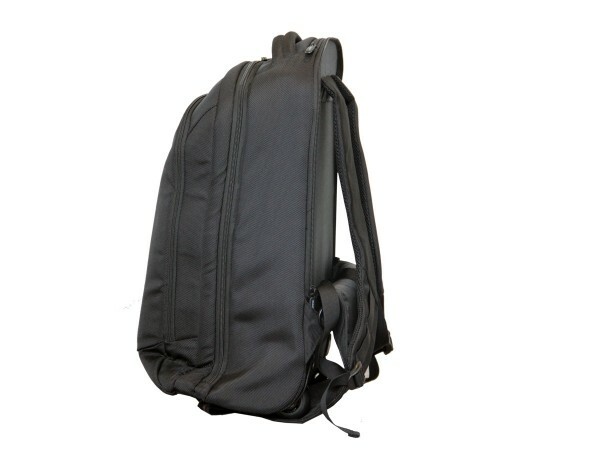 The Bagpiper Backpack is lightweight, small, easy and comfortable, and is the perfect size for carrying your pipes onboard budget airlines or a quick and easy case between gigs. Lightweight, small, easy, comfortable and flight friendly! 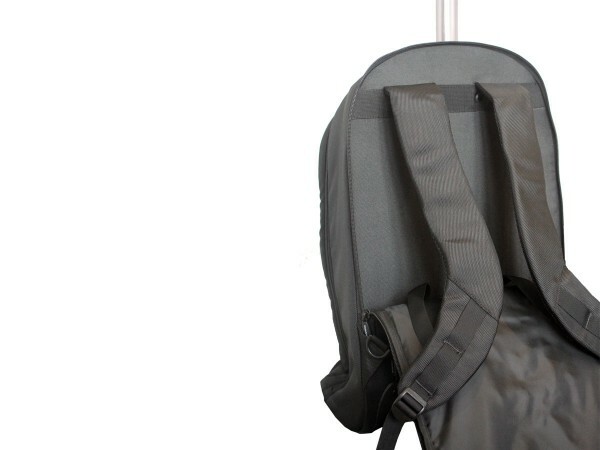 The Bagpiper Backpack Trolley is the perfect size for carrying your pipes onboard budget airlines or a quick and easy case between gigs. 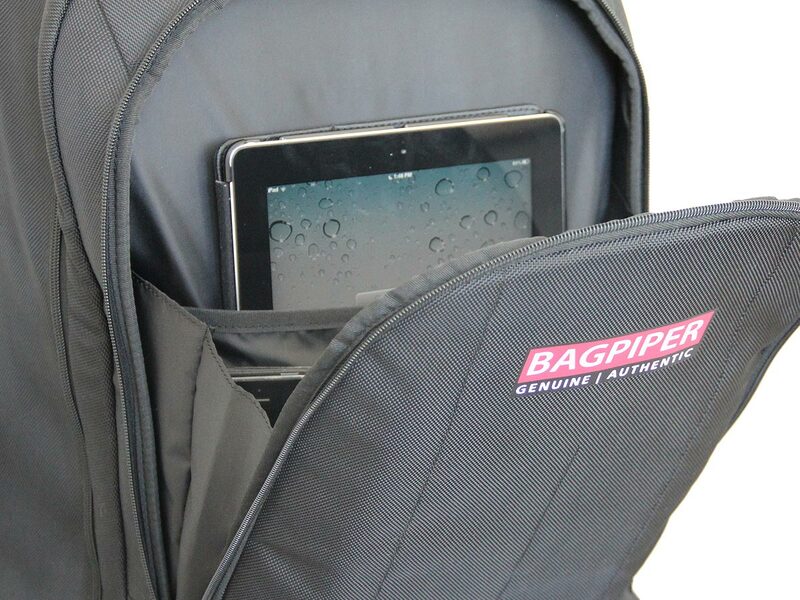 It features special pockets for the top sections of your drones, a special iPad/ Digital tablet sleeve, room for music books and additional pockets for all your piping accessories and travel documents. Both the trolley handle and backpack straps can be stored away making the case look super smart and easy to store. We’ve also spent time ‘road testing’ our wheels making sure they’re strong, quiet (you know those cases that make lots of noise going through airports…) and robust. 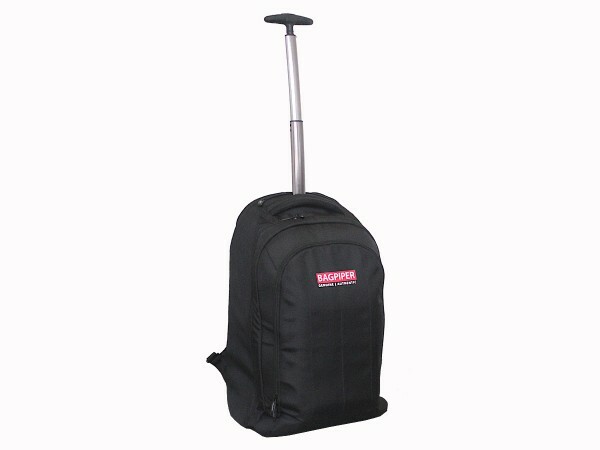 Store them, carry them or wheel them with a Bagpiper Backpack Trolley!